It’s long been a debate between “hard-core” American bicyclists and European-style American (and European) bicyclists: protected bike lanes (and even bike lanes, in general) vs on-road bicycling mixed with automobile traffic. But the masses clearly prefer protected bike lanes, and plenty of research (including my own) has shown that protected bike lanes are safer and encourage more bicycling (and thus, societal savings). Gearheads* who don’t like to drive in the same lane as bicyclists are also happier with protected bike lanes, I should add! But what is a protected bike lane? Well, there is no clear definition, but there are many ways to separate and protect bicyclists from motor vehicles. Some are better than others, of course, but pretty much any of them are better than conventional bike lanes. The Green Lane Project has put together an infographic on “14 ways to make bike lanes better.” Check it out below, followed by more commentary from this protected bike lane lover. 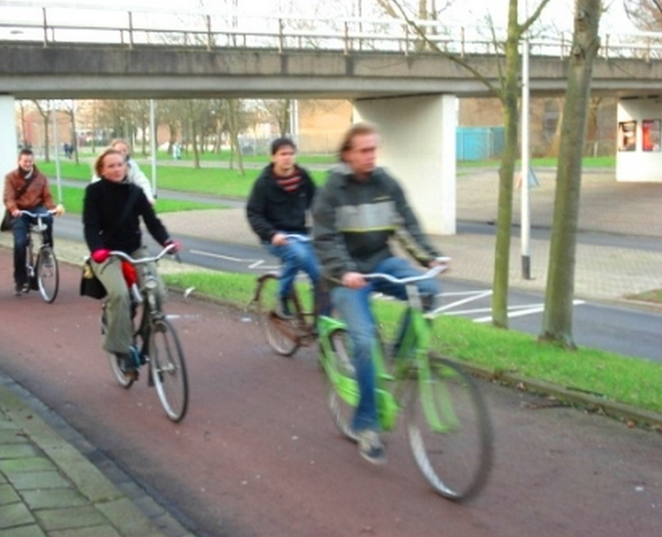 Clearly, some of those solutions are not much better than the most basic of bicycle lanes. The striped buffer just helps a little, but “it’s always something,” as my wife says. The turtle bumps and oblong low bumps can help a little, but they can easily be overlooked by drivers, can easily be scaled by drivers, and could even be more dangerous when a bicyclist or car does hit them. But I’ll agree with PeopleForBikes and assume that they are a bit better than nothing but a thin white stripe. In the end, there are a lot of ways to protect bike lanes from drivers. I know there are plenty of physical, societal, and institutional barriers to incorporating bike lanes, especially protected ones, into the roadway network, but in my opinion this should be done on almost every road. Bicycling is the cleanest and perhaps healthiest common mode of transport. It should be encouraged, not hugely discouraged. *This article was generously supported by Gearheads.org.